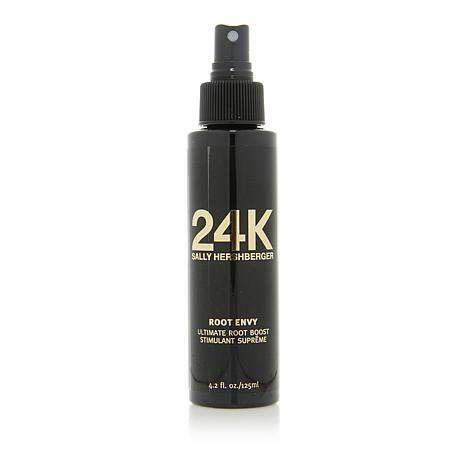 A spray that helps build temporary lift at the root to create the look of all over body and volume. Spray on roots and blow dry with round brush. After shampoo/conditioning spray on damp roots. Spray on roots before blow dry. Ingredients: Water (Aqua), PVP, PEG-40 Hydrogenated Castor Oil, AMP-Acrylates/Allyl Methacrylate Copolymer, VP/Acrylates/Lauryl Methacrylate Copolymer, Propanediol, Glycerin, Panthenol, Cystine Bis-PG-Propylsilanetriol, Hydrolyzed Vegetable Protein PG-Propyl Silanetriol, Hydrolyzed Keratin, Keratin, Hydrolyzed Adansonia Digitata Extract, Helianthus Annuus (Sunflower) Seed Extract, Moringa Pterygosperma Seed Extract, Gold, Quaternium-95, Polysilicone-11, Laureth-12, Fragrance (Parfum), Citric Acid, Amino-Methyl Propanol, Disodium EDTA, BHT, Chlorphenesin, Potassium Sorbate, Sodium Benzoate, Methlisothiazolinone, Hexyl Cinnamal, Limonene, Linalool, Butylphenyl Methylpropional. At first I saw no difference and was going to return. I forgot about it. I recently brought it out again and now love this stuff. Hair looks great even on day 2. I guess I was using it wrong. I may of used too much l, who knows but Im glad I did not return. I cannot praise these hair products as much as needed. I have used them for several years when I first purchased them from you. They are the best I have found anywhere for fine hair. Please don't ever stop having them. They give my hair body and always leave in in great condition. 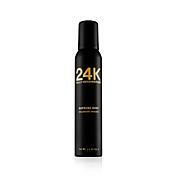 Love this hair product.A little pricey but a little goes along way. I have used this product twice and love it. I have fine long blonde hair and it gives me the lift that I need.